The best bargain on the market is Hebb Industries' Trimline 2200. The belt speed, which is controlled not digitally but by a rheostat, can be a little uneven under a heavy runner, but the 1.8 - horsepower (continuous-duty) motor is strong, and the construction is excellent. Trimline 2200 treadmill is a quality product from Hebb Industries, Inc. Hebb Industries is based in Tyler, Texas and is dedicated to providing customers an extended line of quality treadmills at value price. Trimline treadmills are one of the fastest selling treadmills. Hebb Industries use only American made products, so you can get a quality product which offers good value for money. Trimline 2200 treadmill comes with specifications rivaling any commercial treadmill. Trimline 2200 treadmill has a 17 inch wide belt. 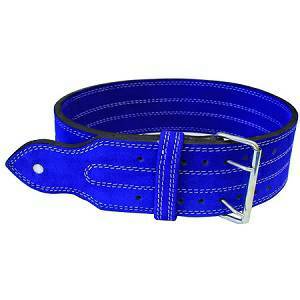 Such a belt can accommodate almost any member of your family, be it your teenage boy or the family's great grandma. Powering the Trimline 2200 treadmill is a 1.8 Cont HP variable speed, continuous duty motor. This ensures you get smooth walking experience at almost any speed, be it walking, jogging or running. Other treadmills may come with motors that can generate more horsepower. But, they may stutter and quirk when the machine is inclined to simulate an uphill run. It's because Trimline 2200 treadmill comes with variable speed, continuous duty motor, that you can get a smooth workout at almost any stress level. This treadmill is a very interactive machine which displays the current incline you have set, time you have been having a workout on the Trimline 2200 treadmill, the current speed at which you are working out, distance you have covered, and also the calories you have burnt. The Trimline 2200 treadmill is also focused on user safety. The treadmill comes with a safety clip. If you pull out the safety clip, the Trimline 2200 treadmill comes to a halt. For an intensive workout, the Trimline 2200 treadmill provides you with a 15% power incline. Another important feature of this treadmill is that it's very compact and easy to move around the house. The Trimline 2200 treadmill has a base 66.5 inches long and 27.75 inches wide. 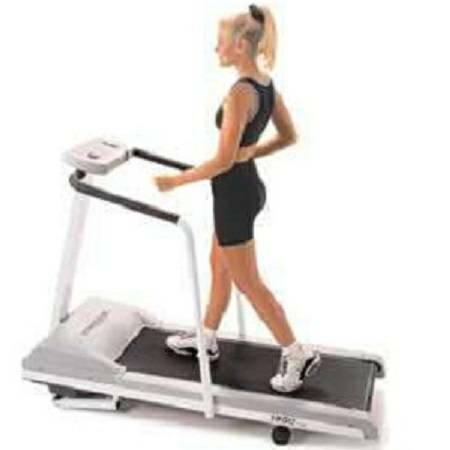 The treadmill can be easily moved because it has wheels for tilting and movement. There is also a protective mat included with the Trimline 2200 treadmill to ensure your floor is safe from any ugly marks. Trimline 2200 treadmill has been greatly praised by the media. The 'Outside Magazine' classified the Trimline 2200 treadmill as the best bargain on the market. The 'Consumer Guide' regards the Trimline 2200 treadmill as the best bargain available in treadmills. 'Fit' has also voted in favor of the Trimline 2200 treadmill. 'Speed Skating Times' says that you cannot find a more dependable, comfortable and quiet machine. TripleFlex shock absorption: provides two levels & sets of shock mounts. Belt size - 49" x 17"